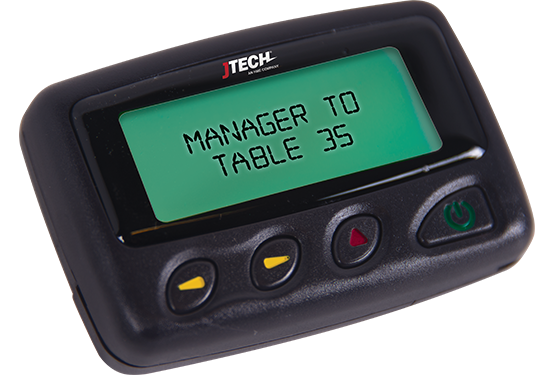 The Neo Server & Staff Transmitter is our most economical staff paging transmitter. It's perfect for restaurants and businesses that need a simple space-saving solution. 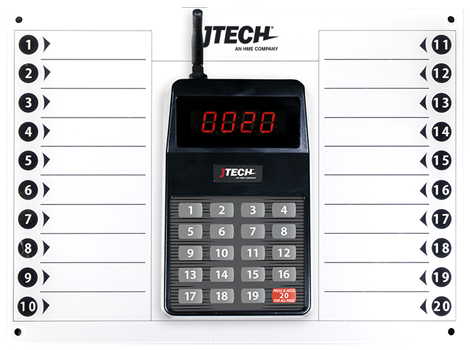 The staff transmitter comes with an optional dry-erase board numbered 1 - 20 so you can quickly jot down orders, guests, etc. with a grease pencil. The Neo Transmitter uses UHF technology and has it's own system ID, eliminating interference. It's fast, reliable and can manage up to 20 pagers. The Neo Server & Staff Transmitter is perfect for smaller restaurants and businesses looking to enhance their guests' experience. Up to 1 mile of line-of-site coverage with unique ID to prevent signal interference. Out-of-Range and Search ensures contact with staff and minimizes pager loss.